When I look at the N96 I no longer see a phone. All I see is a mini-computer. How would you feel if you sat down at a desktop computer and were faced with T9 keys instead of the usual QWERTY? You would raise the alarm! So I cannot understand why a device that can view, edit and create word docs as well as e-mail is devoid of a QWERTY. HTC S730 is a phone with T9 and a QWERTY in a compact design. I wish N96 had this structure. If Nokia are imprisoned in their self imposed rigid N and E series then they should produce a hybrid series: call it NE!!! The phone is ugly, it is expensive, no batery...but is one of the most complet phones! I prefer samsung or s. ericsson. 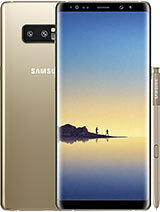 im waiting for this phone, there is no phone else in the market who has these features: 5mp camera, Gps, BVB-H tv, wlan and tv out ang gaminb, well whats more?! touch screen? i'll tell u something, i switched from nokia 6630 to Tytn2, which is a good phone.. but i miss a practical phone, i miss frendly rich featured Nokia phones..
Touch screens aren't even that great. I own an iPhone and compared to this phone, its a piece of $600 (when i bought it) crap. touch screen is the last thing i look for. i look for things like MMS and the 5 MP camera, and GPS. The iPhone has NONE of this features that should have come standard anyway. This phone is a really great looking and very beefed up phone. if it was out now, I'd would buy one right now, regardless of price. I really don't feel like waiting until Q3 of this year. COME ON NOKIA, PUT IT OUT ALREADY!!! n95 2,6 inches display 950 mah battery. (very short life)..
n95 8gb 2,8 inches display 1200 mah battery. N96 + TV 2,8 inches display 950 mah battery. Is it reasonable battery for N96? Wish it comes with touchscreen display capabilities..
will Nokia ever comes out with a high end touchscreen phone? Its Flash can be used while recording video therefore it has LED flash instead of Xenon. I'm shocked yaar its a miracle made by Nokia. I thanks Nokia to giving us that type of phone which can solve each and every problems of us once again thank you Nokia Hats Of to You. Im a SE fanatic but this one is different, this is the ULTIMATE phone, the looks is stylish the features is great. I must have this phone. But im still hoping SE can make better phones like a phone with 5MP Cybershot, Walkman, WiFi, mass storage, GPS, a TV reciever and a Symbian or it would be better if it has Windows MS as an OS. How is there a vote of 8.1 for performance, when this phone has not been released yet? N95 is better in looks.....but it is yet a fabulous mobile set.....good going NOKIA!